Admissions to BBA (BS) 4-year program, MBA Evening 3-year program and MBA Morning 2-year program are in progress for 2015-16 Fall batch. The classes shall commence from 1st August 2015. Admissions to FRM Financial Risk Manager are in progress in CAMS Bath Island clifton Karachi. The classes shall commence from February 2014. 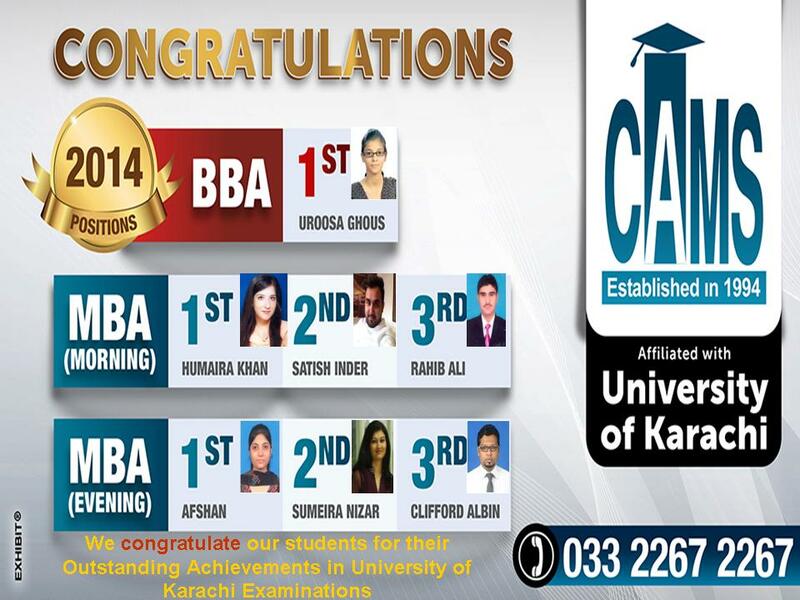 “ Alhamdulillah” CAMS (BBA/MBA) has secured top positions in December 2012 University of Karachi examinations! “ Alhamdulillah” CAMS (BBA/MBA) has secured top three positions in December 2012 University of Karachi examinations! 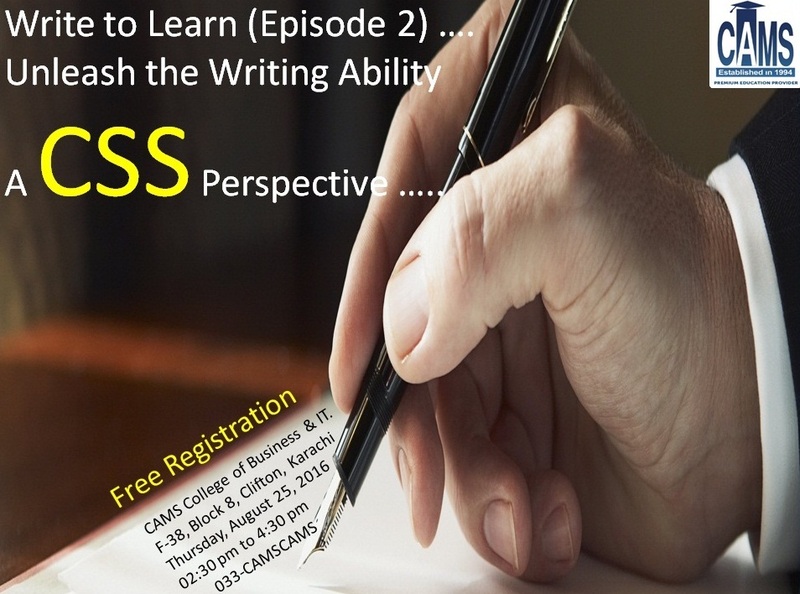 from great teachers to even greater success! ……..let\’s celebrate it all !!! “ Alhamdulillah”, CAMS (BBA/MBA) has secured top five positions in December 2011 University of Karachi examinations!